Is your comms team prepared to react to a crisis? Use our template to ensure you’ve got all the basics covered, so if a crisis does hit, there’s already a clear procedure in place to follow. This template was created by Kellie Smith. 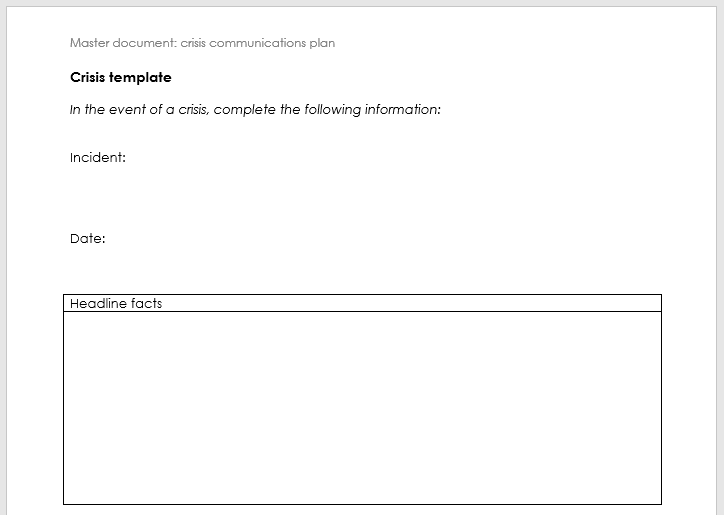 Thanks to Cancer Research UK, CXK, Naomi House Hospice and SeeAbility, all of whom submitted crisis comms plans to help us come up with this template.